Lytton Lawn offers both grass and hard standing pitches with an area of premier pitches, the park has a welcoming atmosphere that is inviting for everyone. 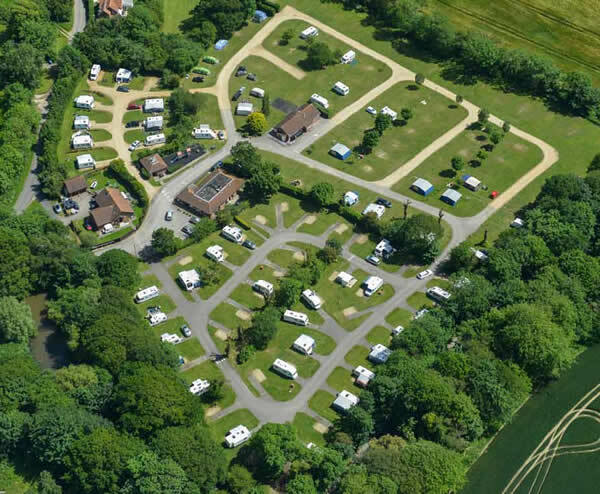 The park is in Milford on Sea, in the New Forest which is situated near to the town of Lymington featuring a marina and working quayside, this South Coast holiday park is the ideal location to explore this beautiful part of Hampshire. The views from the beach stretch across the Isle of Wight and the Needles giving an impressive backdrop to any day on the beach. Lytton Lawn Touring Park offers the following facilities. Lytton Lawn offers a range of facilities including well stocked shop, kids play area, table tennis, launderette and amusement arcade. Situated just one mile from the Milford on Sea and its beaches and boasting an array of eating and drinking establishments for you to visit, and nestled in a quiet countryside setting, it is no wonder that Lytton Lawn has won so many awards. Have you been to Lytton Lawn Touring Park? Please submit your review so that others can benefit from your experience. Important note: Information provided here about Lytton Lawn Touring Park is based on our best knowledge. However, please check with Lytton Lawn Touring Park before booking to ensure that you have the information required. Reviews are the sole views of the contributor and do not necessarily represent the views of CampsitesandCaravanParks.com or Lytton Lawn Touring Park.